The STeP-In conference 2018 took place in the technologic territory of Pune, India. The focus of the 4th International Conference on Software Testing was connecting Machine Learning, AI, IoT, Blockchain and Big Data. In accordance with Squish’s product roadmap, Machine Learning and AI ranks high in importance. We plan to reach the next level in automating GUI testing of applications using AI. Our partner Meteonic visited the conference as our representative. 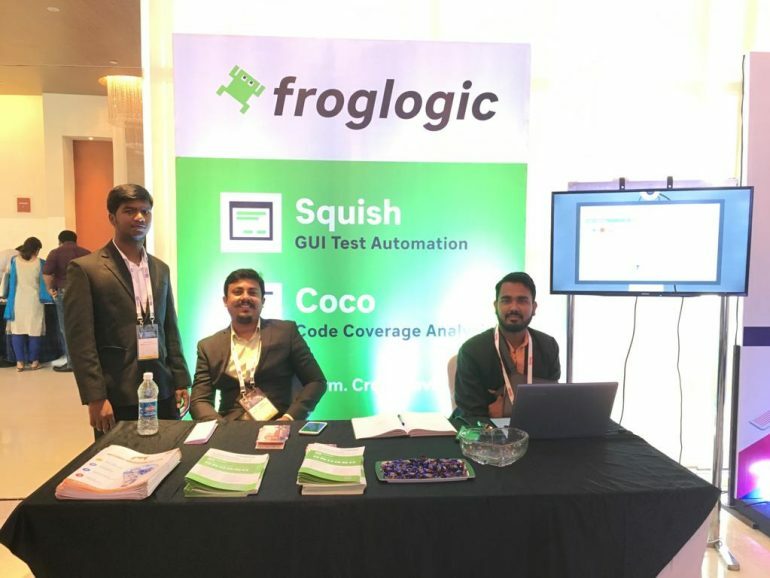 They successfully created noise about Squish and Squish Coco and increased the opportunity for networking in the new region of Pune, India. The attendees for this conference were primarily testers and consultants. They were impressed by our tools and our product roadmap including AI. The feedback from the STeP-In conference was positive, and the attendees were interested to learn more about Squish and Squish Coco.